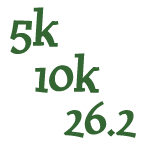 What Races Will You Do In 2011? While many of you may already have your race calendar planned out for much of 2011, for those of you who are still deciding and want to try something new, check out Runner’s World Race Finder. If you need to get in an extra training run or just want to have some fun with friends, it’s a great way to find out about races in your area and beyond. I will be doing the Jordanelle Tri for sure and most likely our local rec center’s tri as well. The Little Red Riding Hood is a really fun women’s bike ride in June–I’ll be trying that as well! .-= Emily´s last blog ..Wordless Wednesday- Oh- Christmas tree =-.